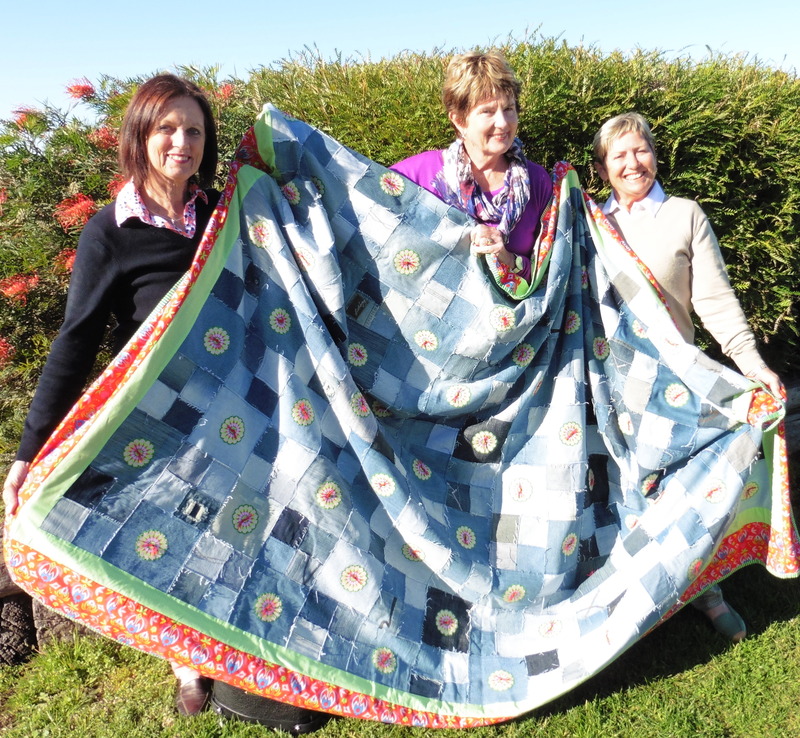 Three of the quilt’s makers – Rosalie Cronin, Lorraine Jolley and Maggie Simmons – with the produce of their labour. Absent are Willi Harley, Rhonda Bailey, Sue Dmetreson and Lynn Prestage. The Jeans for Genes national campaign is under way, with Jeans for Genes Day on Friday 7 August. CMRI Gerringong is holding its annual Trivia Night that day, as the culmination of weeks of fundraising effort. childhood illness. To make the night a great success, there will be nibbles provided, drinks at bar prices, a courtesy bus, raffle and lots of prizes to win. In the weeks before then, they will be selling tickets in their popular annual denim quilt raffle and Jeans for Genes merchandise at local shopping centres. 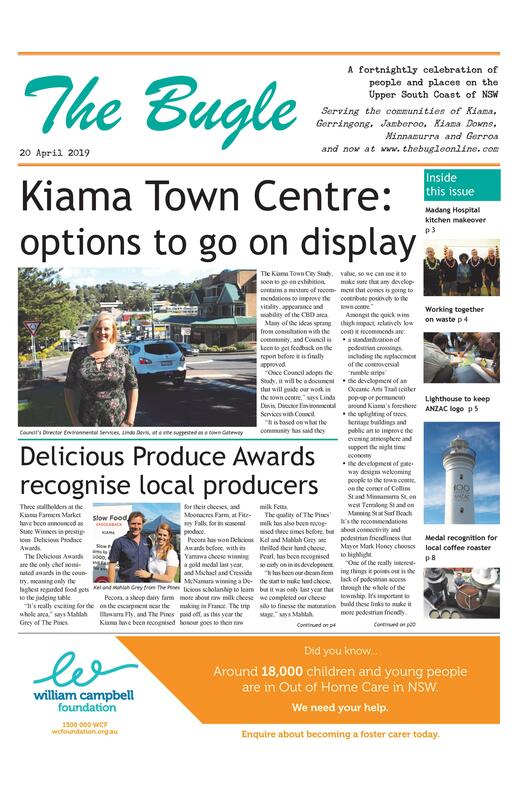 Look for their stalls at IGA Gerringong (24, 25, 31 July and 6-7 August), Kiama Village (30-31 July ), Dapto Mall (7 August) and Stocklands Shellharbour (6 August). This year’s denim quilt features denim and colourful appliqués in reds and pinks, made by a talented group of members. The raffle will be drawn at the Trivia Night. Details: Friday 7 August, 6.30 for 7pm start Gerroa Boat Fisherman’s Club. $20 each, for tables of up to 10, available from Cronin’s Liquor, Gerringong.